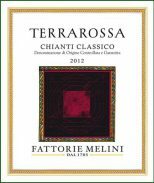 The Fattorie Melini Terrarossa Chianti Classico takes its name from the Terrarossa estate, located next to a picturesque village in the heart of Chianti Classico. Terroir: Fattorie Melini Terrarossa is sourced from within the Sienese region of the Chianti Classico DOC from hillside vineyards surrounding the village of Castellina. These hillside vineyards sit between 900-1,200 feet in elevation and are made up of varied soils of alberese, marl, clay and gravel. Vinification: Grapes are hand-picked in early October and transported to the winery. Maceration takes place for 15 days in temperature controlled tank followed by 12 months in French oak and a minimum of 3 months aging in bottle prior to release.